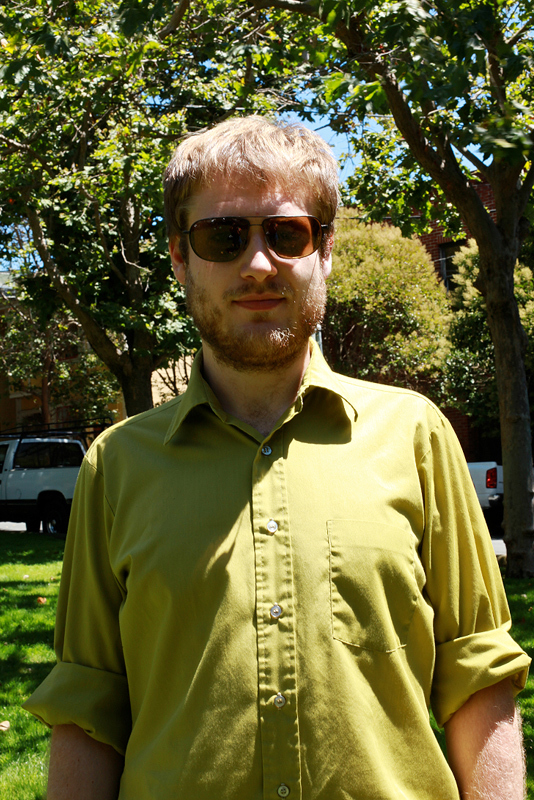 "I'm mostly just going for bright colors. Psychedelic bright colors. This (shirt) is my Dad's. Yeah. Comfort." 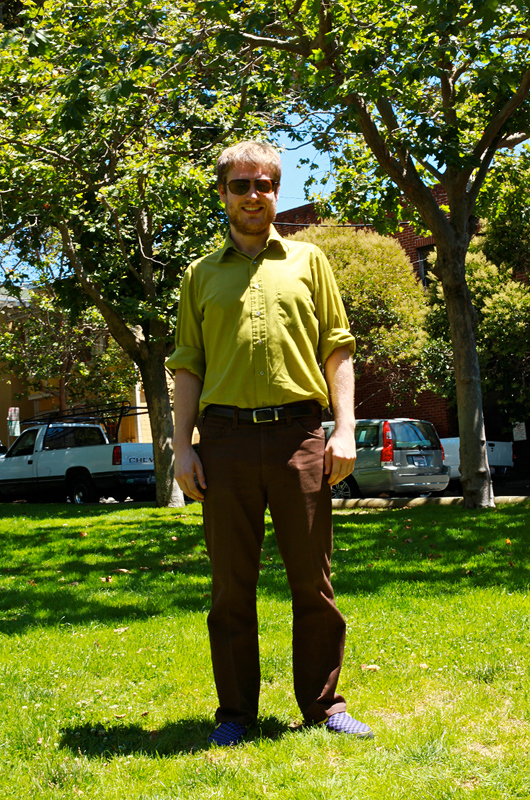 Bright lime-ochre button down and a color combination (those pants, those shoes) notable because those around South Park are subdued in their outfit (color) choices. 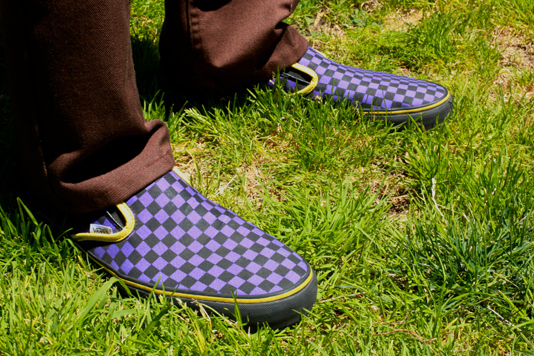 Checked Vans in purple and black.